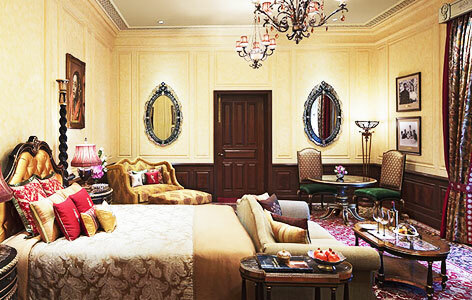 "Rambagh Palace Jaipur is one of the prominent heritage hotels in Jaipur, also popularly called as the Jewel of Jaipur. The hotel is easy to reach as it is located on the Bhawani Singh Road. 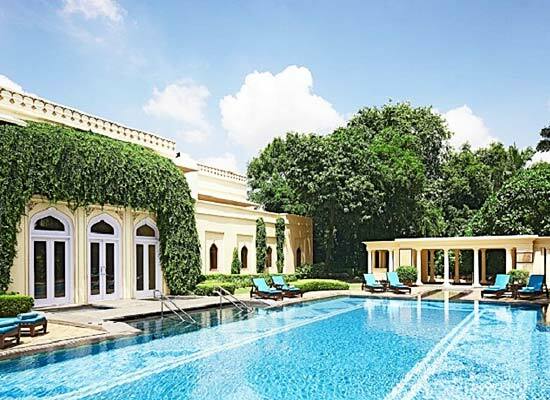 This hotel is one of the major attractions for the guests visiting Jaipur from far flung regions. The Rambagh Palace was built in the year 1835 AD for Kesar Badaran, the queen’s favorite handmaiden. It was further transformed in 1925 into a palace and was used as the residence of the Maharaja of Jaipur. 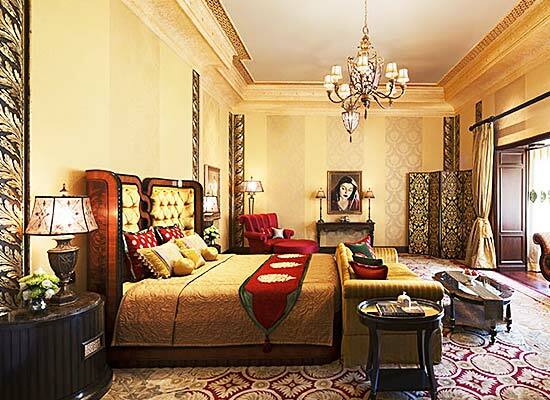 Thereafter, in 1957, the Palace was converted into a plush hotel by Maharaja Sawai Man Singh II. 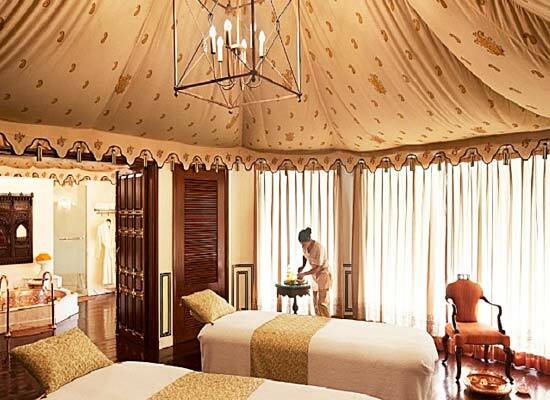 The Taj Hotels Resorts and Palaces took over the Palace in 1972. 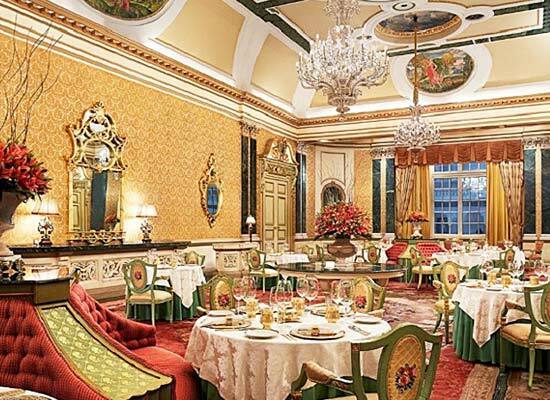 The Rambagh Palace is also praised for its excellent dining facility that tickles the tastebuds of the guests. Rajput Room:- It is an all-day dining restaurant specializing in serving multi-cuisine menu. The restaurant reflects the brilliant Rajput architectural style. The restaurant is open from 06:00 hrs till 12:00 midnight. Suvarna Mahal:- This is an Indian specialty restaurant, located in the Palace’s original banquet hall. 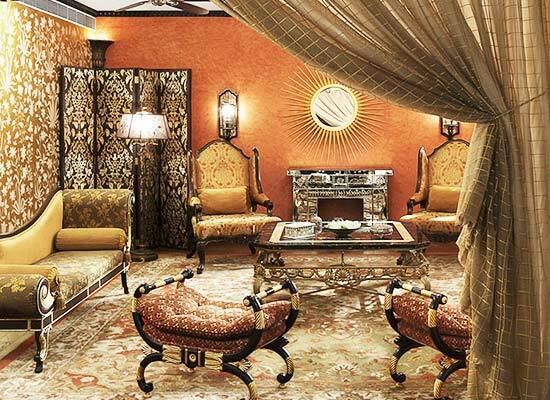 This restaurant is known for recreating the splendor of Indian royalty. For the royal fine dining experience, visit the restaurant between 12:00 noon to 15:00 hrs and 19:00 hrs to 12.00 midnight. Verandah Café:- This is an alfresco dining option, specialized in serving Indian and Continental delicacies. The restaurant is located overlooking the Moti Doongari Fort and landscaped gardens. The timings of the restaurant are from 11:00 hrs to 23:00 hrs. Polo Bar:- Adorned with the Maharaja's Polo trophies, the Polo Bar is perfect to unwind. The guests enjoy aperitifs, drinks and cigars here. The timings are from 12:00 noon till 12:00 midnight. Steam:- This is a lounge bar where the guests could enjoy a fine selection of liquors, delightful snacks menus and wood-fired Italian crust pizzas. This restored steam engine has a station which is designed according to the Victorian style. The timings of the lounge are 19:00 hrs till 12:00 Midnight. Please note, the lounge is closed on Tuesdays. Jaipur, the pink city, was established by Maharaja Sawai Jai Singh II in 1727 AD. This is a beautiful city, located in Rajasthan. The city is best known for its blue pottery, jewelry, enamel work and hand block print & embroidery. The cultural richness and structures of huge historic significance have attracted visitors from all parts of the world.